Red Garden located in central of Penang Town easily accessible by both locals and tourists, it’s a big food court with a lot of hawker selling Penang famous delicacy and stage in the middle where professional singers and bands will performing live. On top of that there is shopping arcade in the hawker centre itself and offer local handicraft and items, ranging from clothing to toys including packed food items, products of Penang which make good souvenirs and they are all reasonably priced. 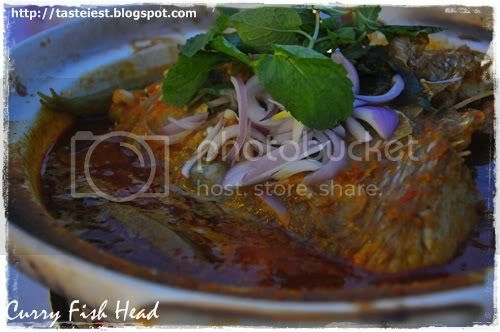 Tua Yi Curry Fish Head is what we going to try out today. Curry Fish Head served in a big clay pot, honestly it was not well presented as the curry spill at the side doesn’t clean up but good food doesn’t matter for it look. 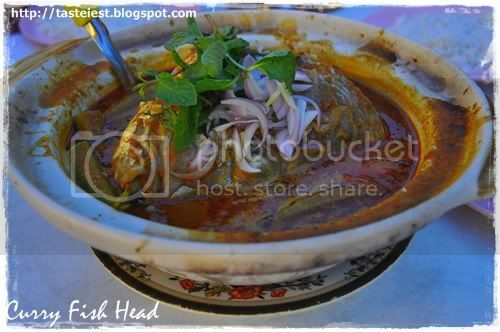 Curry fish head garnish with mint leave and onions with lady finger. 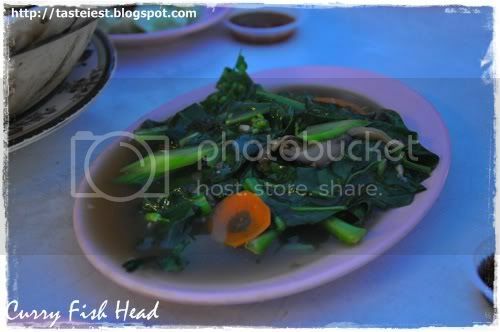 First taste the spicy and sour curry soup is very appetite and we will surprise by the size of fish head served, only 3 persons but the fish head is as big as the clay pot and it a whole fish head instead of half like other restaurant. 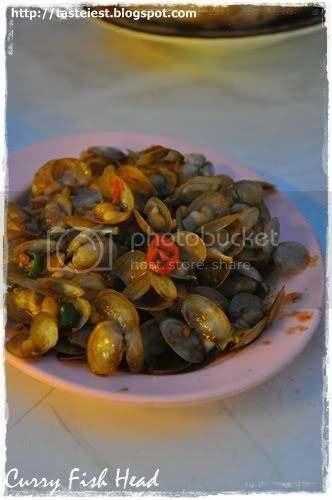 Next we have is Stir Fried LaLa, it was cook with a little bit of spicy taste and LaLa is extremely fresh with every shell there is meat attach to it unlike those not fresh where the meat and shell is separated. 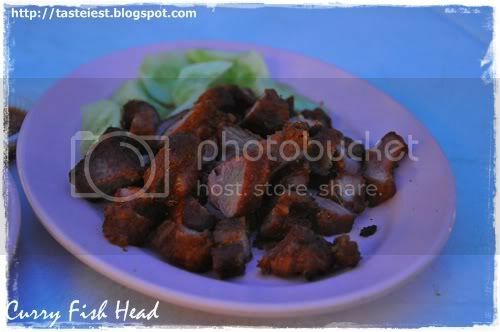 Nan Ru Pork, pork meat was marinated with Nan Ru sauce (Fermented Red Bean Curd) and deep fried to perfection. Can taste the Nan Ru flavor and the pork meat is tender soft. Stir Fried Kai Lan, taste just normal where the crunchiness is remain and well cook. 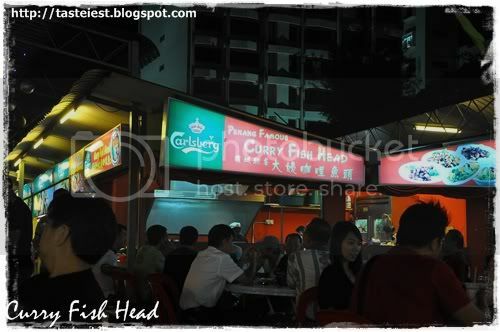 Big Sign Board indicating the Curry Fish Head hence you can’t miss it.